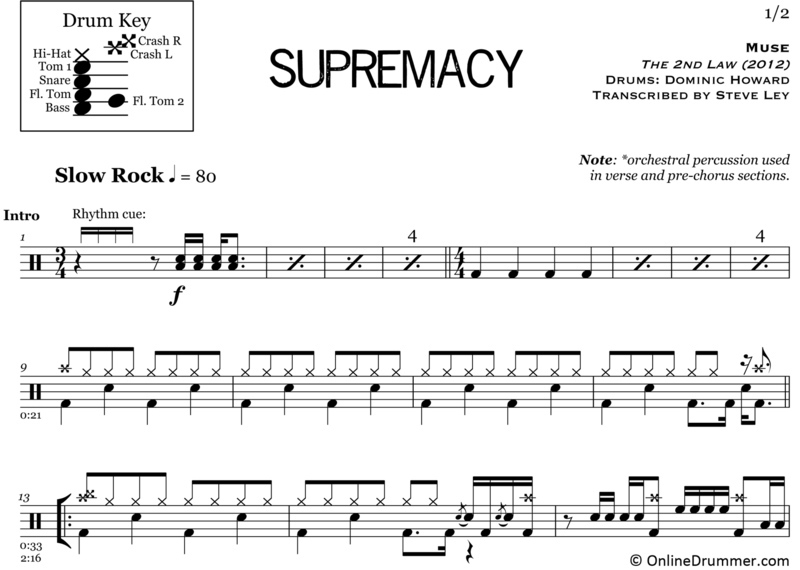 The full drum sheet music for “Supremacy” by Muse from the album The 2nd Law (2012). “Supremacy” features some clever rhythmic juggling of 4s and 3s, orchestral accompaniment, and a wild double-time bridge. 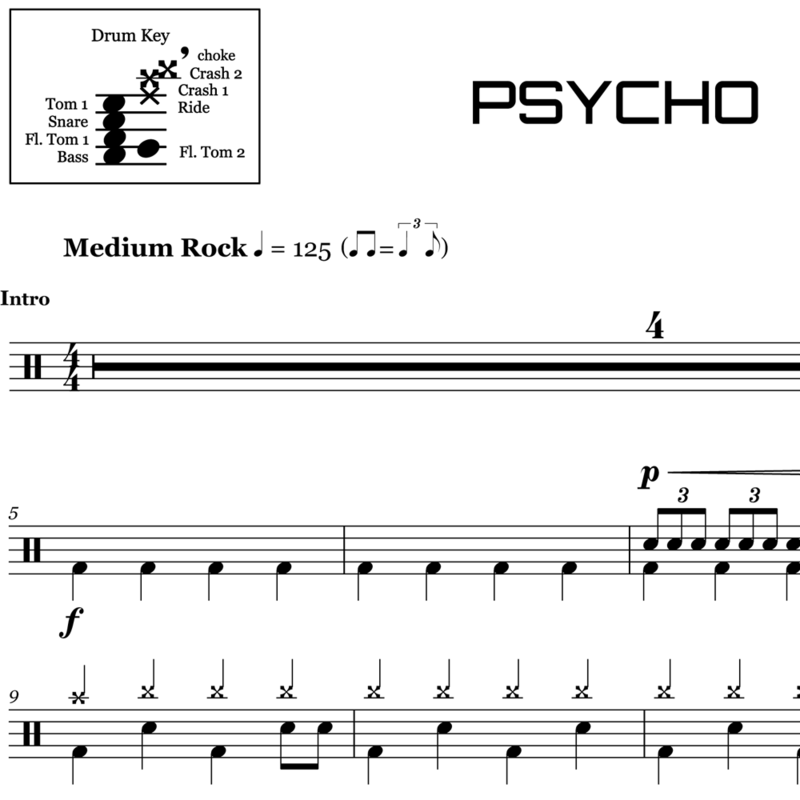 The song’s first measure introduces the rhythmic theme with a ‘call and response’ phrase. The guitarist plays four muted sixteenth notes for the ‘call.’ The drummer (with orchestra) ‘responds’ with semiquavers in kind. The notation is not difficult to read but sounds more complex when played along with the song. The full drum sheet music for "Time Is Running Out" by Muse from the album Absolution (2003).